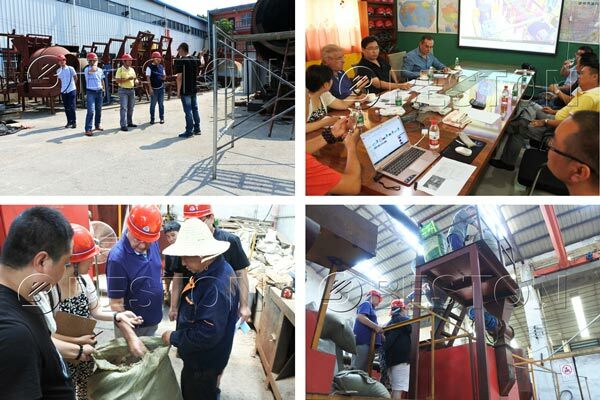 At the end of this month, Spanish customers visited Beston Machinery. We felt honorable for their arrival. During this visit, Spanish customers intended to reach a deal with Beston Machinery. Before arriving here, he already had a lot of interest in Beston charcoal making equipment. He knew this machine can deal with different materials, such as coconut shell, wood, peanut shell, rice husk, palm shell, etc. The most things he wanted to carbonize is the coconut shell. In order to see the charcoal quality, Spanish customer came here. With our company, these customers saw the whole production process and knew functions of each part. 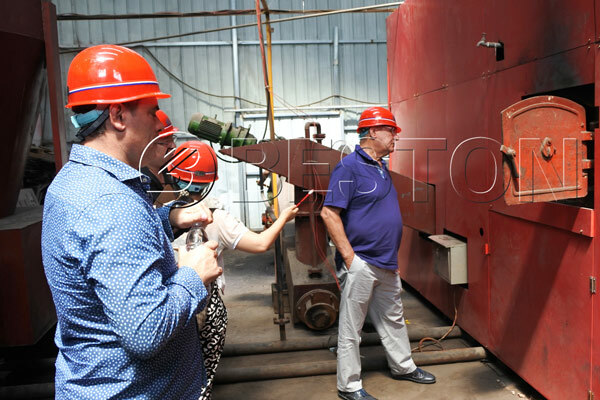 After visiting, he had a high praise for Beston biochar production machine. Firstly, the whole production is sealed, which avoids the spreading of the dust and guarantees the health of workers. Secondly, there is waste gas recycling system. It can save large fuel cost. Thirdly, this carbonizing machine has advanced technology which is our patent. Accordingly, the charcoal quality is under guaranteed. The application of Beston biochar pyrolysis plant is conducive to recycle waste biomass and make profits for yourself. Why don’t join us? Email us right now to get the price list!